Psychological Dream Meaning: A villain may represent part of your personality that may need reform. He may represent the rebellious side of yourself and your secret desires to break the rules of society. Perhaps he represents feelings you have for revenge or your wish to undermine someone’s plans. He may represent a vice such as smoking, excessive drinking or over-indulgence. Psychological Dream Meaning: A symbol of plenty the vine may represent your sensuality and indulgence. Similarly, it may represent the harvest and a time of material prosperity. If your dream is dealing with health issues, the form of the vine may be suggestive of the nervous system. Psychological Dream Meaning: If you dream of behaving violently, then you may harbour hidden feelings of resentment towards someone who is preventing you from progressing. Alternatively, you may be denying something within yourself. 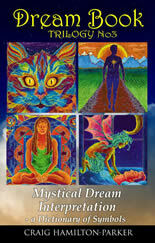 This dream can show the need to assert yourself when dealing with people and to be more accepting of your own failings. You have too much repressed emotion. If the violence in the dream is directed toward you, then you may be punishing yourself and feel guilt about an issue. Does the outside world make you feel vulnerable at this time? You may feel that everything is against you now but should remain hopeful in the knowledge that a change for the better will inevitably come in time. Psychological Dream Meaning: Your dream may be nostalgic. 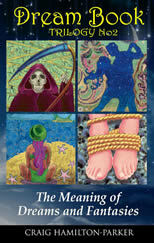 Are you looking back to the innocent days before you experienced the pain and complexities of human relationships. A virgin may represent something in your life that is pure and unsullied. Psychological Dream Meaning: An erupting volcano may be the awakening of negative feelings that have been pushed underground into the unconscious. You may have been holding back your true feelings for so long that you feel that you want to explode. 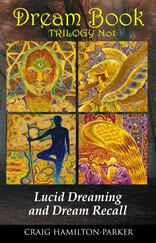 Psychological Dream Meaning: This dream may be an expression of your desire to be rid of feelings that cause you upset. It may be that you ‘can’t stomach’ a situation or feel ‘sick and tired’ about the way someone has been behaving. In some cases, this dream may represent a feeling of self-disgust. For example, you may be so repulsed by something that it makes you want to vomit. You need to quickly get to the heart of these extreme feelings. Psychological Dream Meaning: Vultures are horrible creatures who live off the misfortune of other animals. Some people are like this. Are you? Or perhaps someone is taking advantage of you?